This is the pumpkin from my giveaway a few weeks ago. I originally a saw similar project at an art festival several years ago and then two years ago attempted my version of it to give to my friends for Halloween. My photos didn't turn out the best for this tutorial and I can't seem to find time to do them again, so hopefully you can look past the blur to see what you need to see! patterns for pumpkin, eyes, nose, mouth, and leaves available to print here. very roughly drawn! 1. Cut out all the pattern pieces. 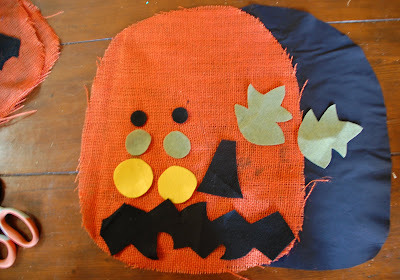 You will need one pumpkin body out of orange burlap, one pumpkin body out of black cotton, two pieces of each eye part (one color for each), one nose, one mouth, and two leaves. 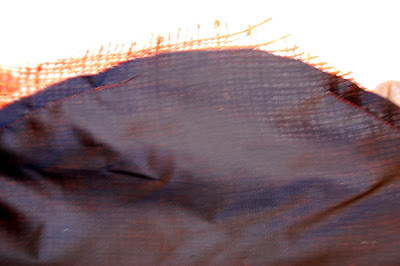 *At this point you can paint a taupe color paint on the orange burlap using a dry brush method to give it a more primitive look. 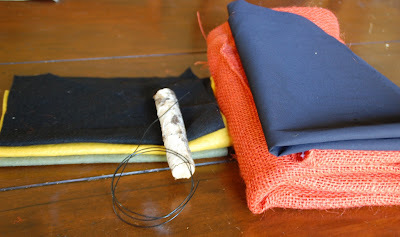 This is what I did because my burlap was too bright of an orange, but just an option. Let dry before continuing on to step 2. 2. 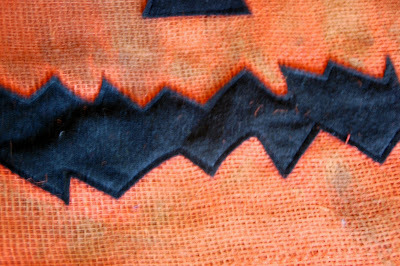 Using the sewing machine straight stitch the mouth and nose on to the front of the orange burlap pumpkin body. I sew as close to the edge of the black felt as possible - like a 1/8"seam. 3. Layer the circles on top of each other with the largest on the bottom, medium sized in the middle and the small one on the top. Using a running stitch, stitch 1/8"in from the edge of the smallest circle all the way around attaching it to the burlap. 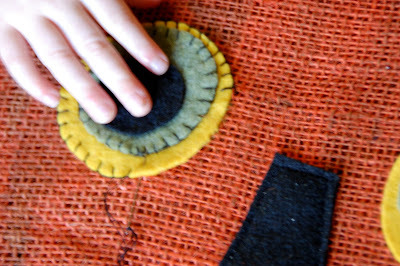 Using a blanket stitch (great tutorial via future girl - check half way down the tutorial and there is one specifically for circles), stitch around the middle and largest circle attaching it to the burlap. *I set the eyes off center and one a bit higher than the other. The funkier, the better. 4. 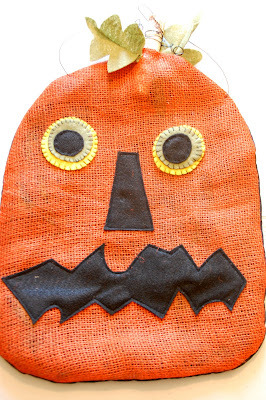 Now put the burlap pumpkin piece and the black cotton pumpkin piece together right sides together. The burlap is a little stretchy so don't be surprised if it is a little bigger than the black fabric. Starting at the top, stitch all the way around using a 1/2" seam and leaving a 4"opening at the top for turning. 5. Before turning right side in, cut notches out of the the bottom curves and upper curves of the pumpkin. 6. Turn the pumpkin right side in. 7. Take the stick for the stump of the pumpkin and put it in the opening at the top, folding in the opening to match the seam. 8. Using a hot glue gun, glue all around the stick where the fabric touches it and press the fabric around it to close up the seam. If there is any open space on each side of the stick, glue that together as well with the seams folded in so it is nice and clean. 9. It should look like this now. 10. Take the two leave and pinch in half. Sew 1/4" seam starting and the base and getting narrower until you get about 3/4 way down and it should reach the edge. Like a long triangle. Like in the photo. 11. 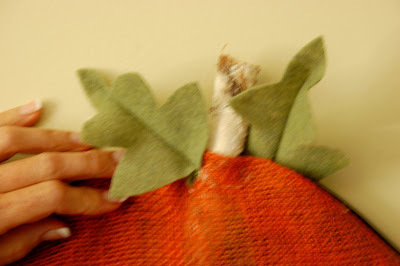 With the hot glue gun, glue the leaves on - one in the front touch the stick and one in the back. You can also do both in the front or whatever looks best to you. 12. Cut a 10-12 inch piece of wire and starting at the base of the stick, wrap it around several times tightly. Then, take the ends and curl them by wrapping them around a pencil several times as well. 13. Take another piece of wire about 16-18 inches long and stick one end through the burlap and black fabric about 5-6"to the left of the stick. Curl the end of the wire on the back side so it won't come back through. Twist a loop at the top and then go back through on the right hand side and curl the wire on the back. 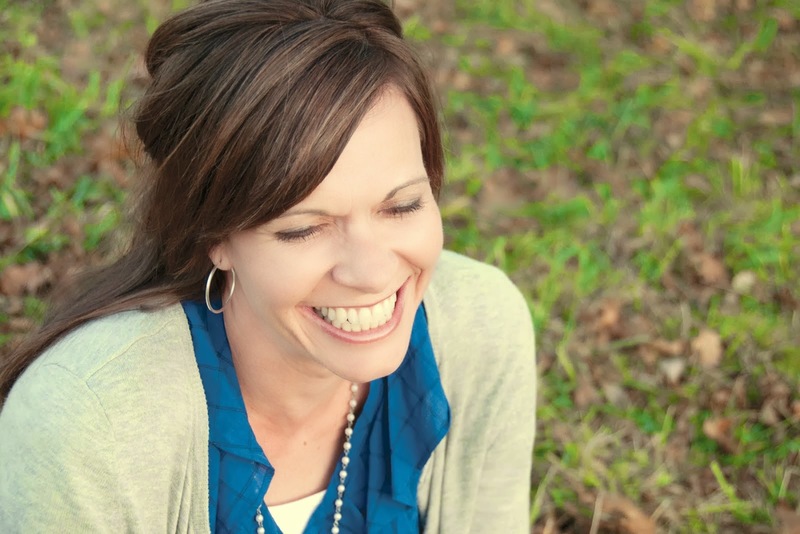 Love it, Traci! But I could scream because I recently threw out a bunch of burlap that had been around here for years. Sheesh. Well, anyway, this seems like a perfect project to do with my girls :) Thank you for sharing! Great project!! Thanks for the tutorial!! Love it!!! I'm gonna have to try this with my kiddos. And thank you for coming over and reading about the award. Just wanted to let you know that your blog and ideas are awesome and I pretty much check your blog everday for ideas!!!! I just found your blog! I am so happy to add it to me favorites list! I love all your ideas and tutorials!! Thanks so much! I just love my pumpkin. He's hanging in my entryway, greeting everyone who walks in the door. Thanks so much!!! That is SO cute! I love that orange burlap, what a great idea. Thanks so much, I'll be linking to this. Got mine hanging by my front door. It make me smile everytime I see it, because I think of you!